Welcome to Neatitems.com... a site dedicated to creating shower head sets that are not only hard to find but unique and high quality. We're all about listing solid made shower head designs to suit a wide range of tastes. One type we carry... double shower head sets. They're easy to install, an inexpensive way to add a second shower head to your existing system and they're available in many finishes such as chrome, brushed nickel, gold and oil rubbed bronze. 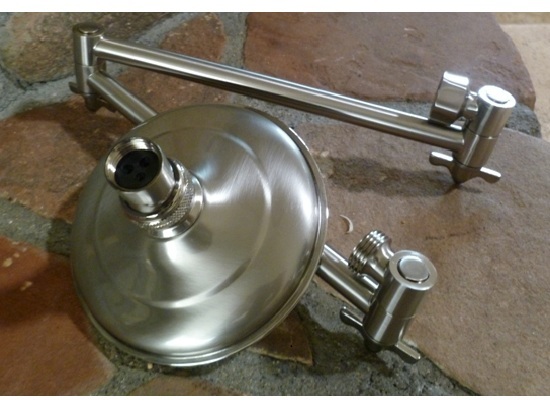 We carry dual arms that extend a full 20 inches from the wall or dual bars where the shower heads are side by side. So browse around and let us know if you are looking for a double shower head set you don't see listed. We can probably put one together for you.